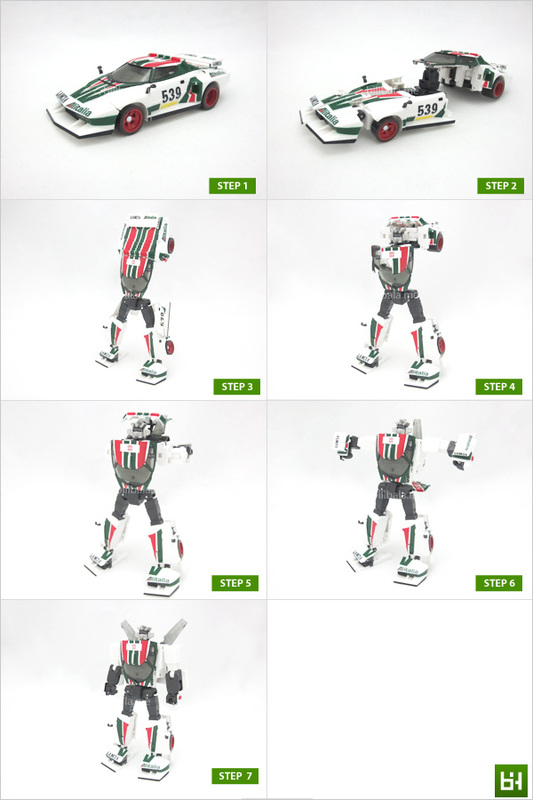 “Castrol colors, toolbox, samurai-like headpiece, cool sport cars from the 70s”: Descriptions that fit nicely to the much anticipated Transformers Masterpiece MP20 Wheeljack. 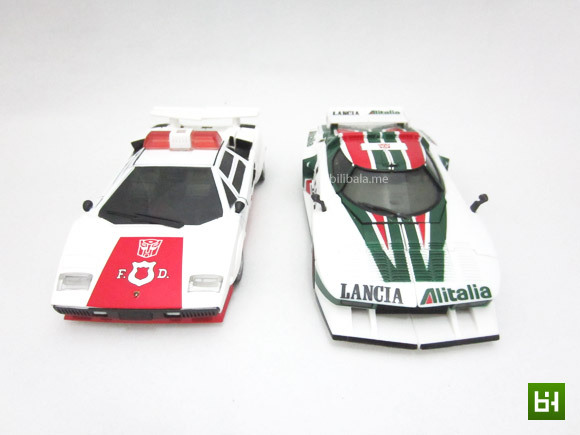 Truly a bliss to either old diehard fans of the G1 or new collector alike. 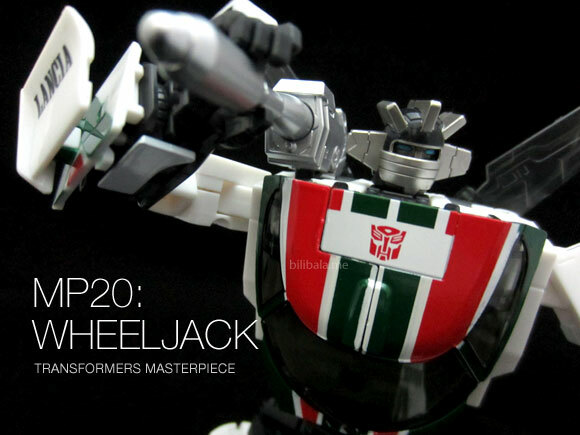 For years, fans are longing for collection of their G1 favorites to be remade into masterpiece and this MP20 has definitely what it takes to offer a fruitful and indulging moment of the past today. Read on! 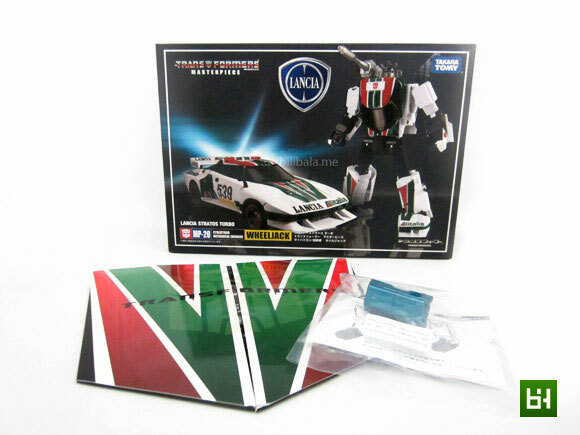 Similar to what previous masterpieces have, the MP20 Wheeljack comes with a collector coin and an Amazon Japan exclusive toolbox. Sadly, these goodies are only being offered exclusively to the Asian market. Your very typical masterpiece box art. 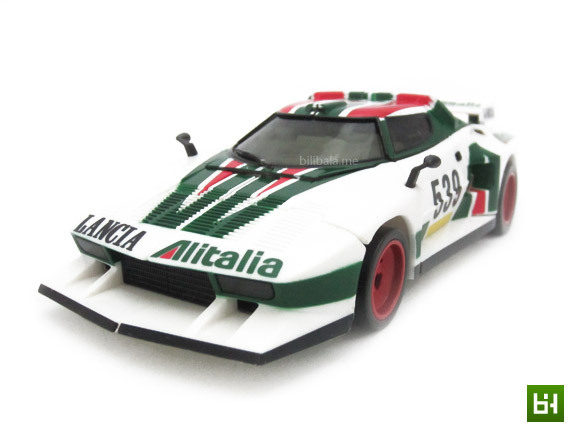 You will notice a big Lancia logo printed on the box. 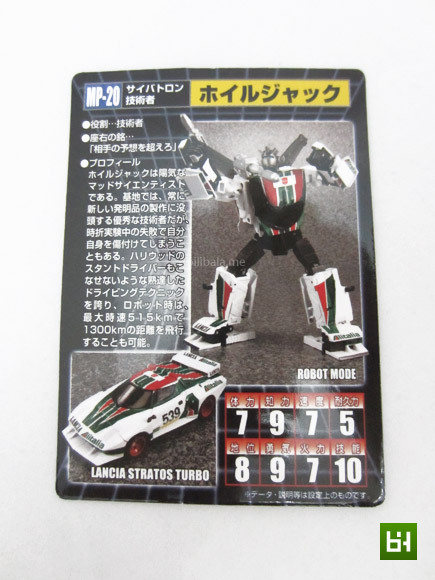 A nicely designed coin casing bears the “marks” and color composition which are identical to Wheeljack’s. 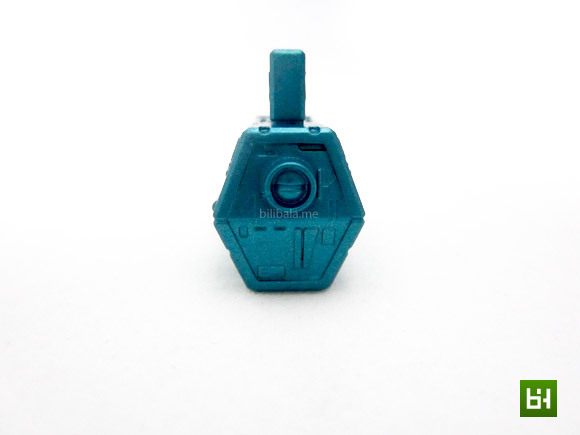 A subtle Autobot insignia can be seen as well. Slide it opened to reveal the coin. 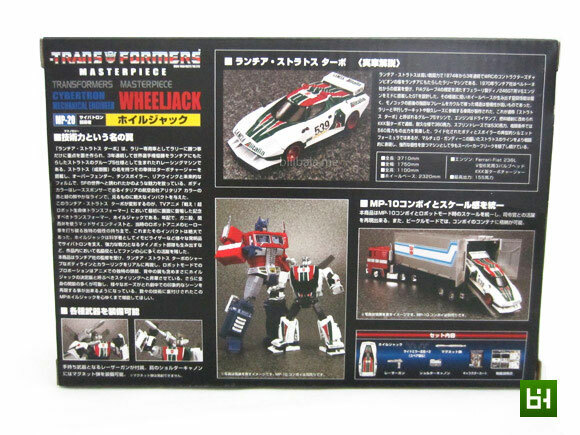 Interesting there’s a typo (Weeljack?!) in the printing. Guess their designer never proof read their design before it went to production. The rear of the casing has another sneak-peak opening to reveal the back of the coin. An all familiar symbol which fans will definitely recognize it like the back of their palm. 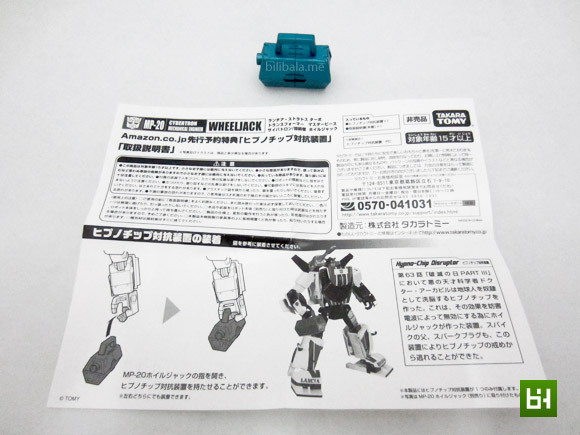 The Hypno Chip Disruptor comes as an Amazon.co.jp exclusive. 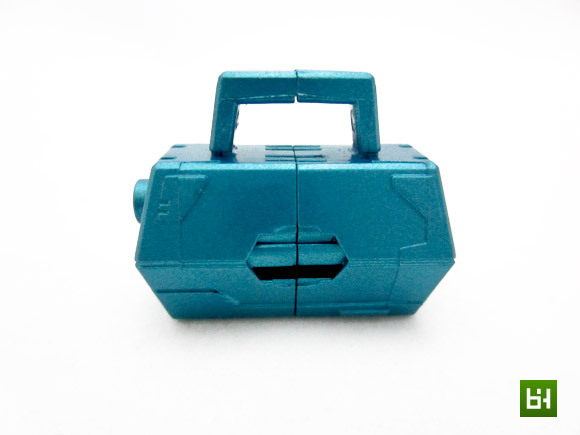 Before the hoo-ha, this disruptor is simply just, well, a plain box which no additional gimmick or whatsoever. 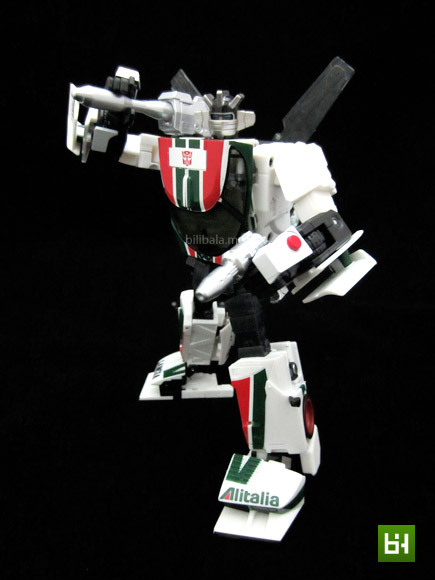 UPDATE: Thanks to fella reader James J. and Adrian P. , the Disruptor is actually an anti hypnotize wave transmission box which is invented by Wheeljack to counteract Dr.Arkeville’s Hypno-Chips in the “Ultimate Doom” episode of Transformers. Thanks again for the heads up guys! Nope, you can’t slide it open or flip open to reveal what’s inside. 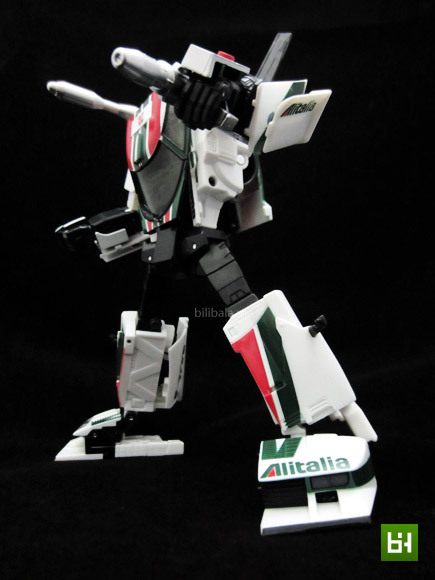 It’s just a mere decorative piece which you can display it nicely with the MP20 Wheeljack. Here’s a peak inside the tiny black box. Everything seems normal, not until you notice the 2 rods like plastic in the bottom right of the picture. More details on this part below. Character card with biodata at the back of the card. Now, for the 2 mysterious pieces. 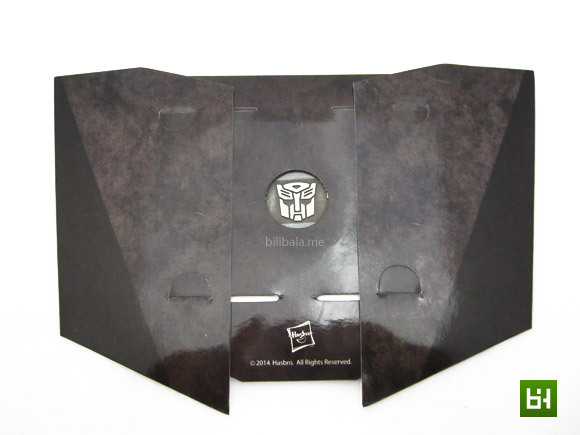 They are actually the side mirrors which comes uncut and disassembled from the main body. 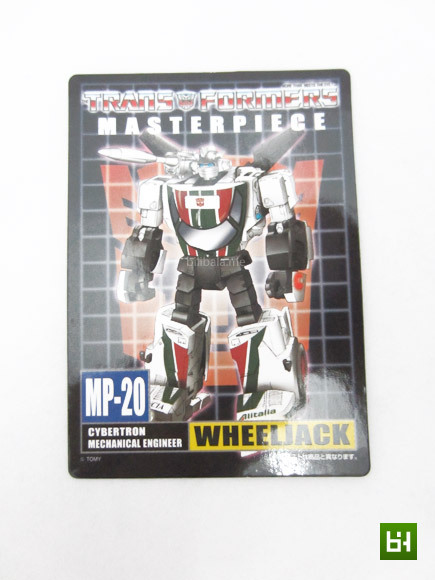 You have to cut and install beforehand to have the complete MP20 Wheeljack. 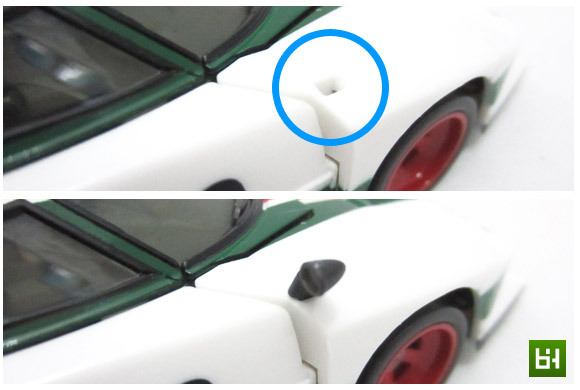 There’s the slot (on both sides) for you to do the simple installation. The reason behind such installation? Well, I really don’t know. If you know the answer, simply put in the comment below. 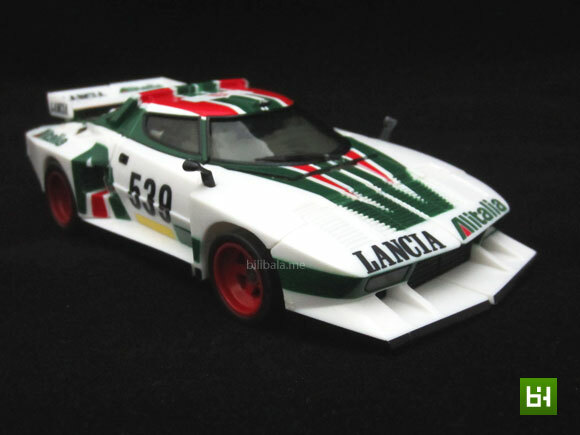 True to its G1 form, MP20 Wheeljack comes in a fancy 70s sport car Lancia Stratos with tons of sponsor decals (and the iconic 539 numbering as well). First impression on Mp20: solid and seamless gap. 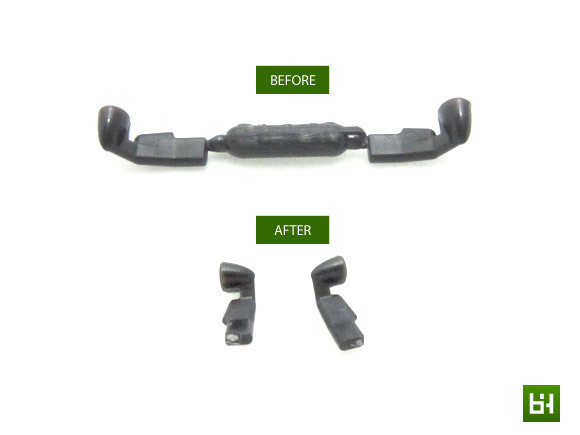 Plastic quality is really good and not to mention the engineering behind this mold to achieve seamless gap. 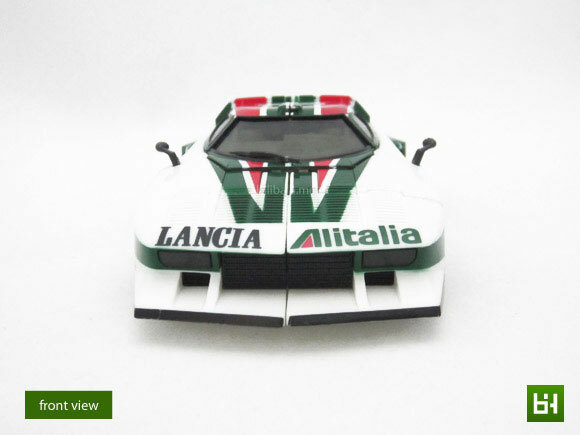 Everything holds in position very well thanks to the nicely designed pegs and ports in the figure. 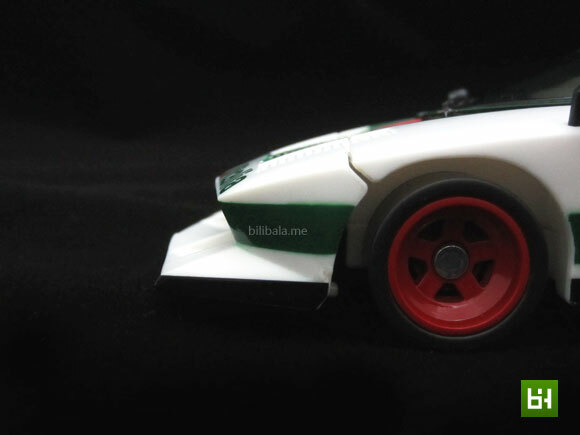 Hard plastics are still being used for all tyres. 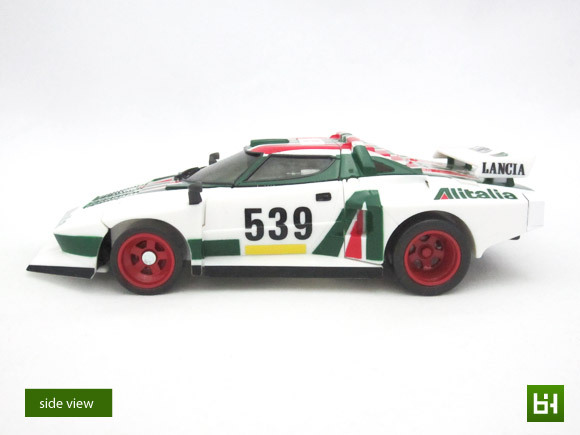 Not hard to understand why as soft rubbery plastic might not stand to the test of time. 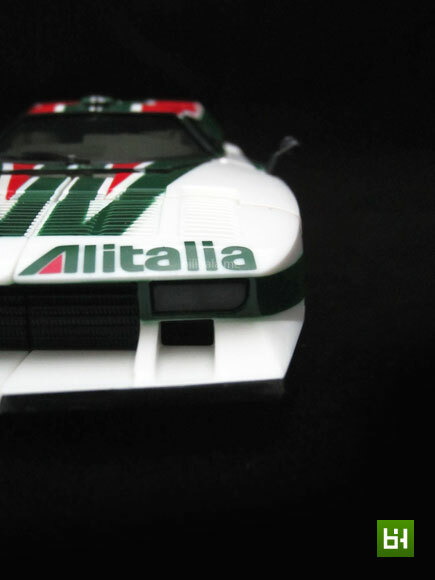 Colors follow closely to G1 and definitely when you see them, you instinctively know is Wheeljack. Though the colors are painted vibrantly, there are actually some thin smudges being left on certain part of the body. Unfortunately, my unit has 3 parts that suffered from color smudges. 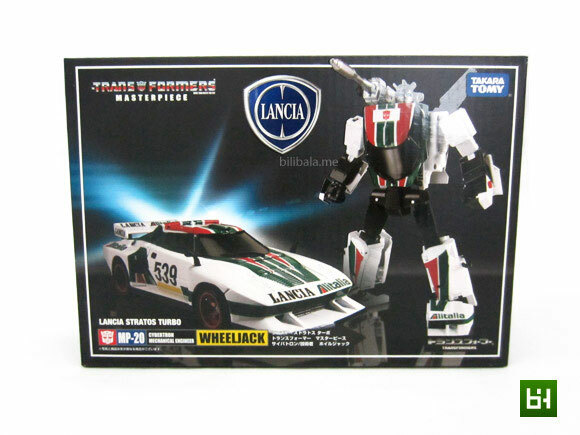 It is quite hard to check for them unless you are willing to forgo the MISB status of the toy or even face the wrath of the toy shop owner for opening up the box to check. 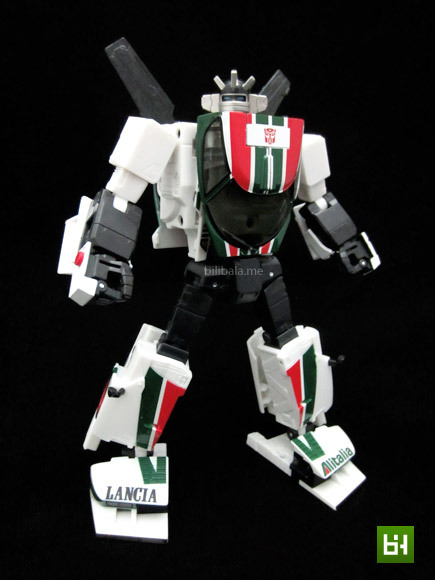 I believe there is no perfect unit for him due to the overwhelming paints being used (especially for the decal). So good luck in finding the 100% perfect MP20. 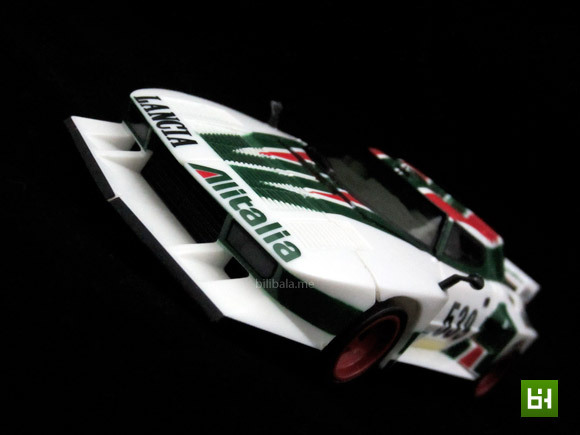 Well, they could have done more to the rear of the car. 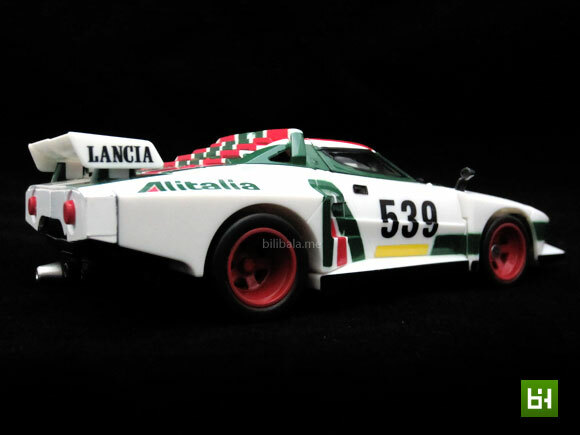 More decals, a registration plate maybe? 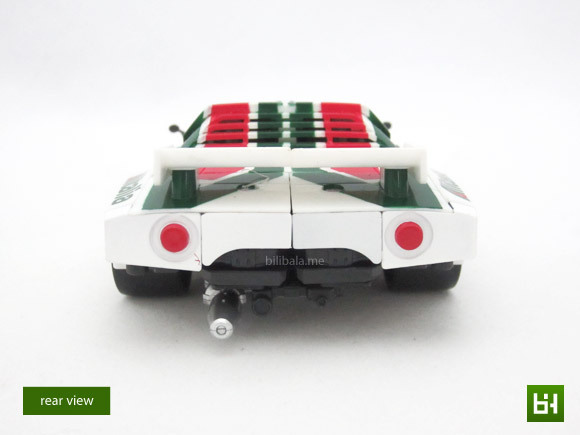 Frankly, the rear does seem plain and unfinished. 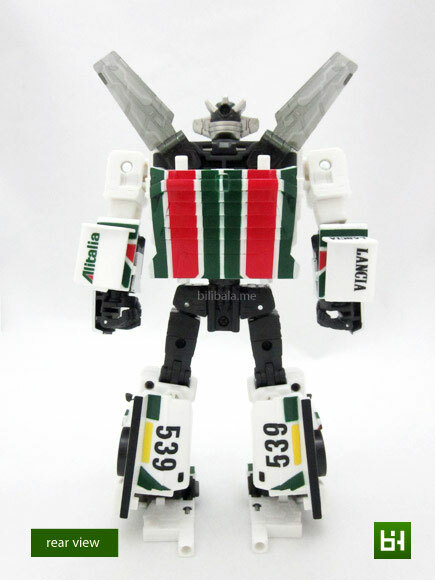 Off to robot mode. 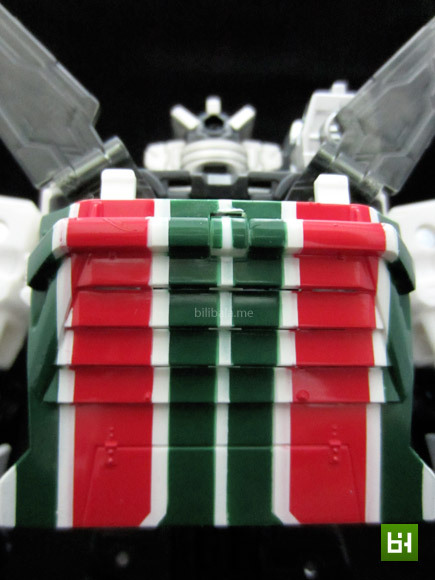 MP20 Wheeljack does well in capturing the details of the G1. 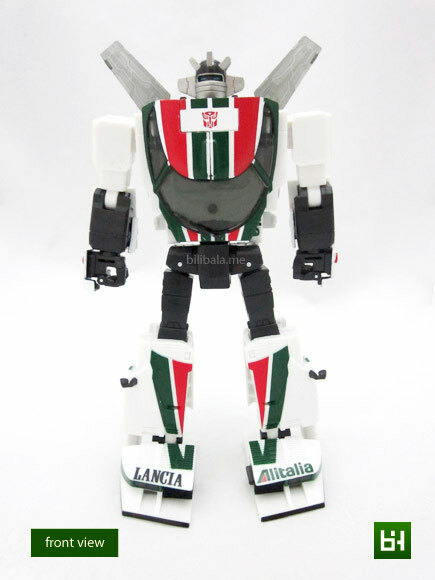 However, I just find that the robot proportion is not something I fancy of. 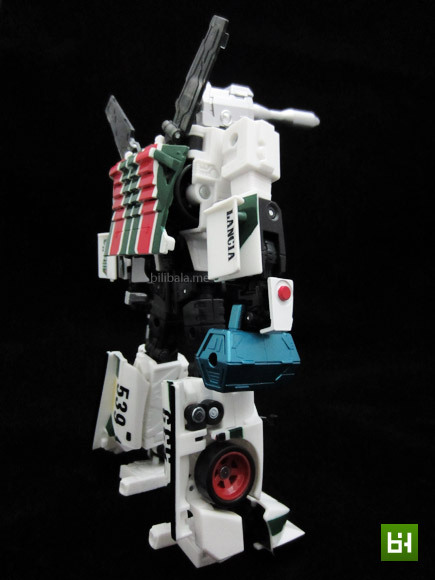 Personally i think the lower body is a bit too long, both arms are a bit short and upper body is a bit narrow. 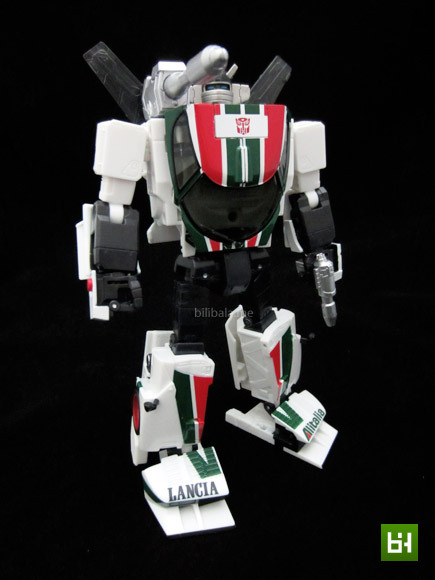 If I remembered correctly in the cartoon, Wheeljack will have a bit more bulkier upper body with shorter legs. Correct me if I am wrong. Side profile looks good. No back kibble. And definitely no hollowness. 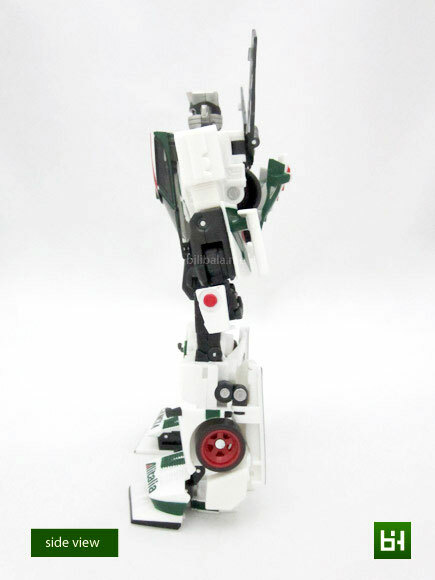 The figure stands extremely well with the extra large leg base. 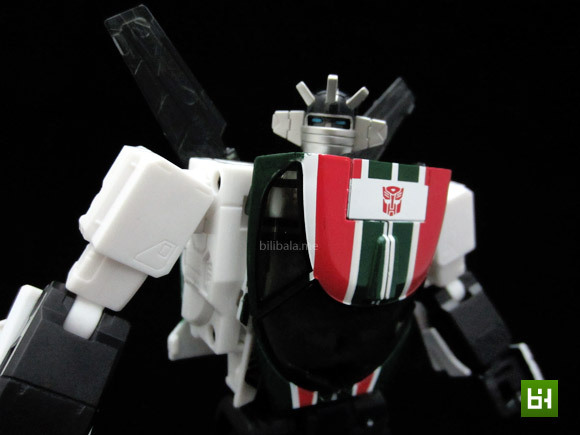 I particular like the 2 protruded semi translucent “wings” he has. 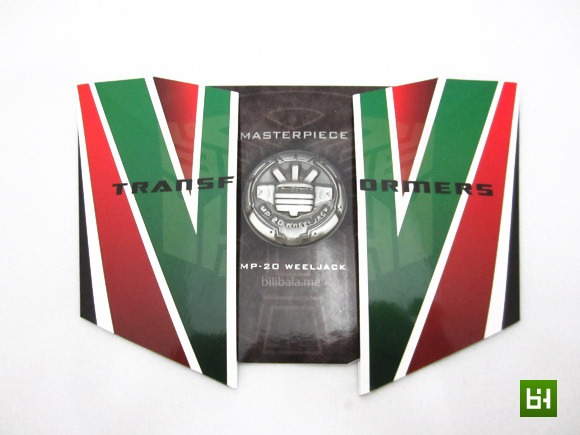 But then again, the 2 wings might pose as a nuisance in transformation. 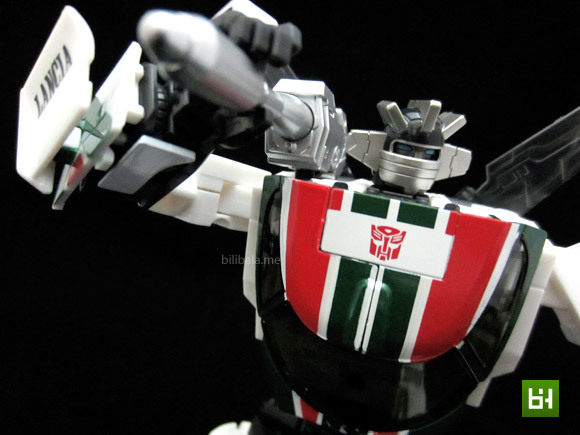 (more detail in the transformation section). 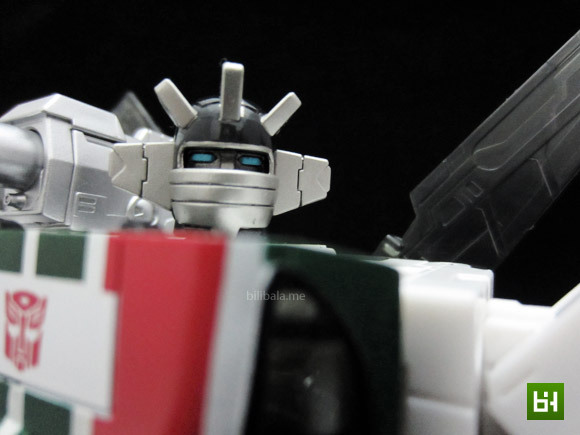 A close up with MP20 Wheeljack. Simple but accurate head sculpture. No light pipping for eyes. 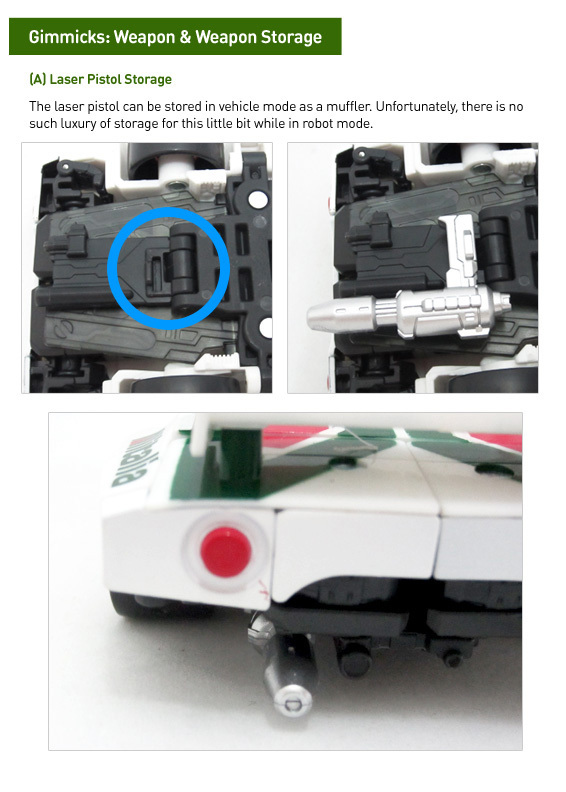 In case you didnt know, there’s actually a hidden face beneath the face plate. A full face actually which you can see it here. There’s a single screw that locks the headpieces together and believe me, it isn’t easy to unscrew that particular screw due to it being coated with black color paint. I have tried unscrew it using normal precision tools but it wont budge. Guess you need those motorized screwdriver to have it opened. 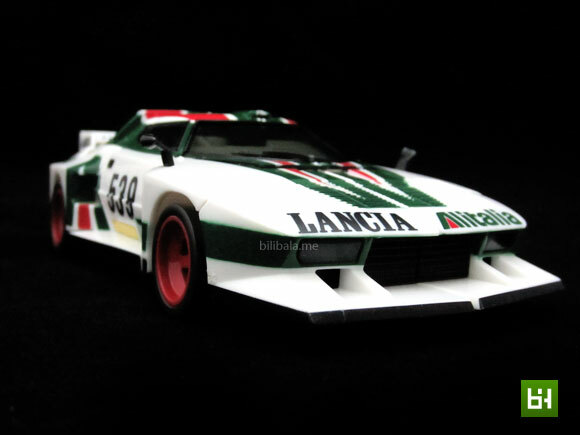 But then again, it’s a premium Masterpiece and it’s entirely up to you whether you want to mess up with it or not. 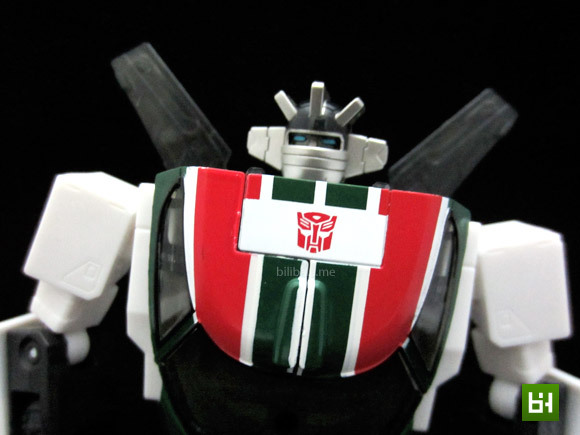 Transformation gimmick is awesome. It isn’t too difficult but indulging and fun. Bits and parts hold together solidly with strategically designed pegs and ports. Well, as a result, more seamless gaps. 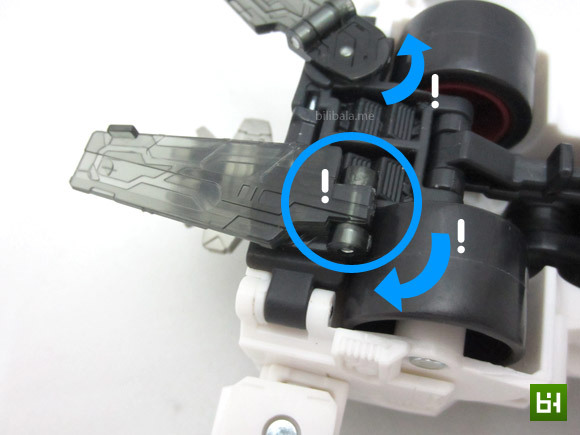 However, there’s a part which requires extra cautions (and sometimes a nuisance) while transforming: the transparent “wings”. Although they are not fragile, they can easily be broken if you are not careful enough. 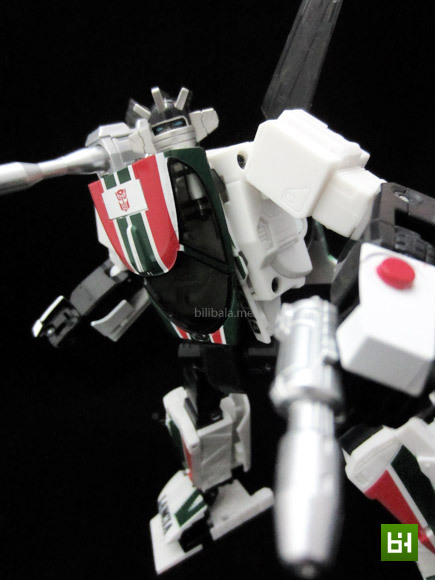 This is especially true when at one point you need to flip both of the wings up or down from their locked position. You might need to hold the base and flip them to avoid breaking them. 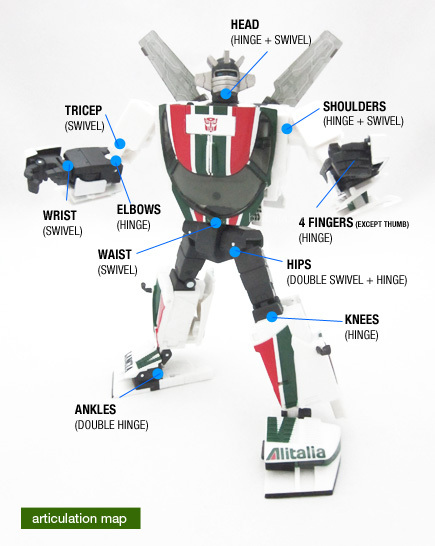 Then there’s a part which you might overlook in the instruction manual: the rotating of the wings. You have to follow the direction correctly to rotate them outwards to form the wings. 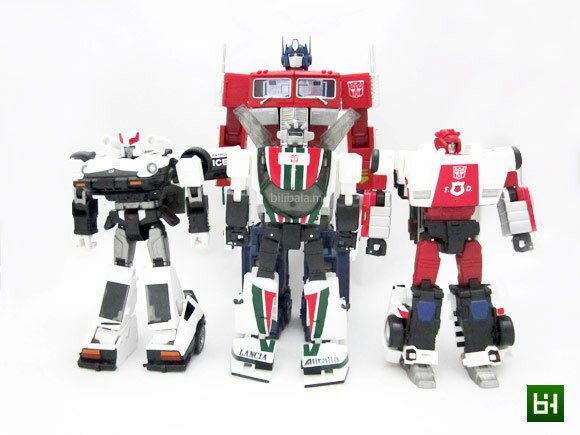 Comparison with other MP Autobots. It is almost similar size to his brothers in arm. 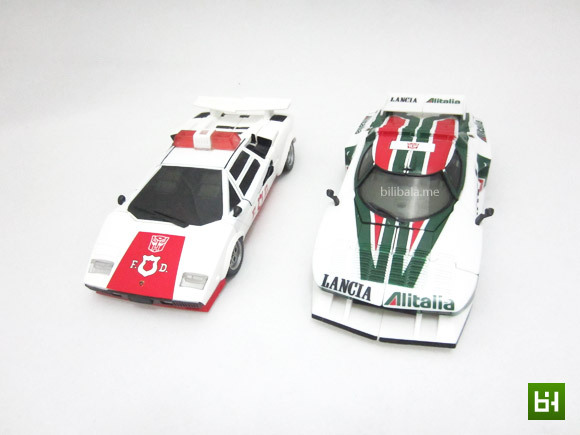 A quick comparison with Red Alert in vehicle mode. 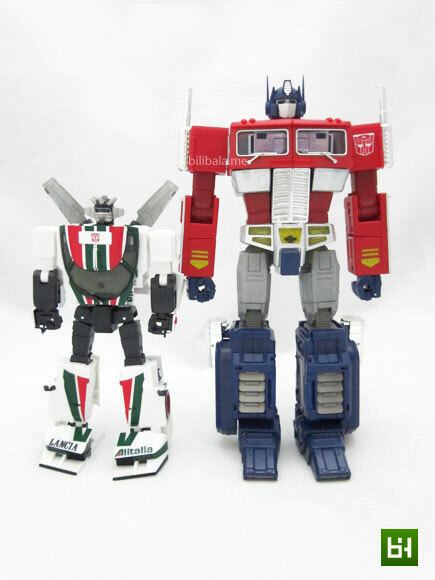 Since they are of the similar size, you can expect him to go into Optimus’ trailer without any issues. 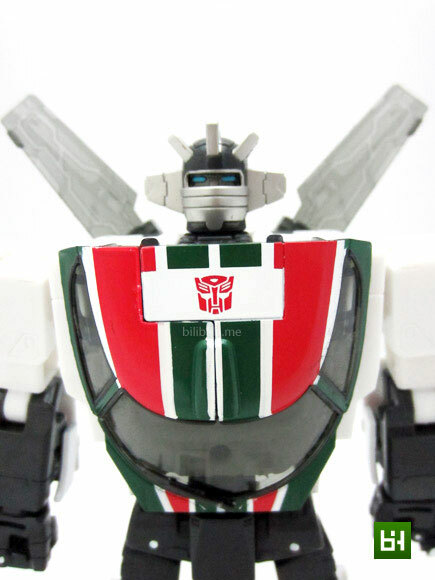 Transformers Masterpiece is definitely a helm to Transformers toy collection from every aspects. 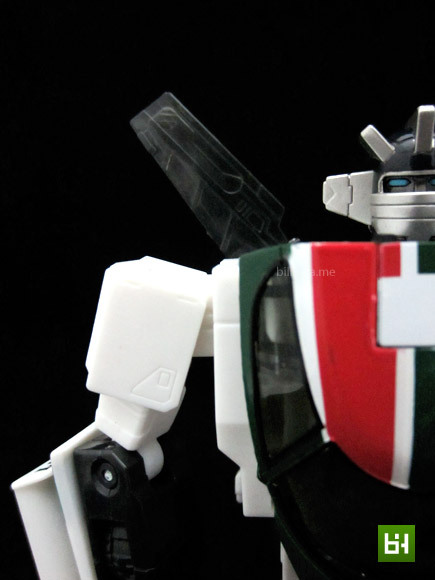 From details, colors to the toy engineering itself is worth every single penny. 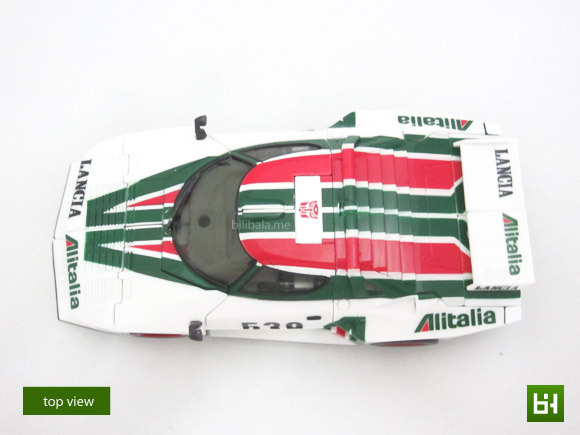 This MP20 Wheeljack is no exception. Although there might be some small glitches for him, that doesn’t mar the playability and display value of him. 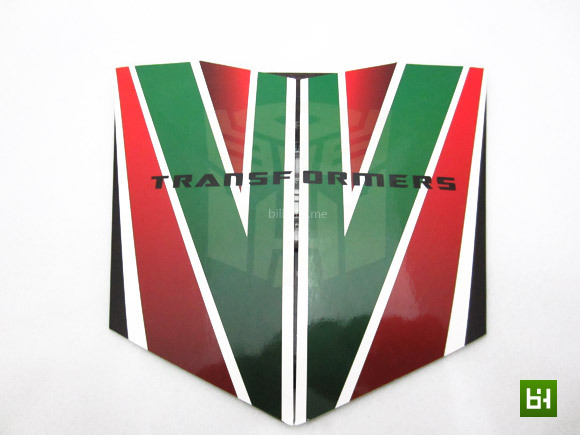 Without much hesitation, this is definitely a must get for all Transformers fan, either you are the amateur or the diehards. 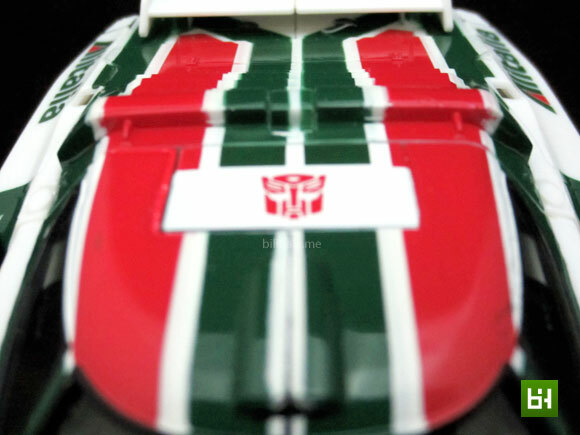 What I like – Indulging transformation; color application and details are great (except for rear section of the vehicle); close to G1 reminiscence. What I dislike?– Slight color smudges; weird body proportion.